Burning the midnight oil and reaping huge benefits is what every Indian dreams of these days. While that could mean several things for several people, for two specific people, with a very specific set of skills, it means something completely different altogether. They are Tarun Goyal and Nikita Luther. And the skill in question is Poker. Meet Tarun Goyal – A man who wasn’t living it up any more than you or me until fairly recently. But life did a 180 on him when he stumbled upon Adda52.com. Some 5 odd years ago, the former businessman, saw an opportunity to pursue his love for the game of straight faces and high cards, like never before. All bets were ON, as he started playing for real money and before you know it, he was converting hundreds into thousands and thousands into lacs. In fact, he proved to be quite the Poker Shark, decided to quit his day job and played Poker round the clock. Even through the wee hours. In 2016, Adda52 made him a Pro! The man is now one of the highest earning Poker players in the country. I mean talk about scoring a Straight Flush! And now say hello to the girl who was dealt a set of winning cards, in her own right. Poker, especially in India, has so far been a man’s playing field. Until this 26-year-old decided to level things up. She is the only Indian female to have won an International Title. She scored big when Adda52 made her a ‘Live Pro’ and gave her a chance to represent the website in official, worldwide tournaments. 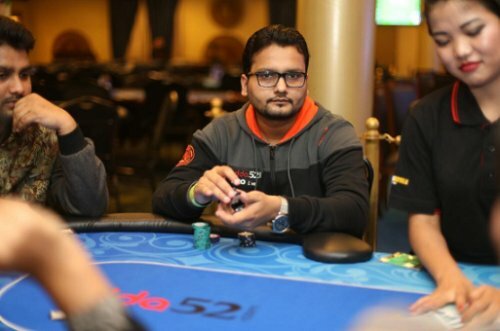 Nikita, who is the COO of Poker Sports League in India, by the day, encourages women from all over the country to play Poker and hone their Poker skills. And as far as her personal agenda is concerned, she has her eyes set on the granddaddy of them all; a World Series of Poker Bracelet. Both Tarun and Nikita are at it, day and night, studying the game and trying to perfect theirs. Tarun credits Adda52.com as the place where it all started for him, and a major reason for the financial independence that he now enjoys. Adda52 is a legal and secure platform for anyone who wants to hone their Poker skills and put them to the test against other players. It is the go-to website for Indian Poker players and it continues to raise the bar each passing month. So, if you think you’ve got what it takes to be an Ace at Poker some day, you know where to start. Adda52’s Saturday Big X is their main attraction for all Saturdays throughout April & May. Prizes worth 20 Lacs are at stake, with the grand prize being a whopping 5 Lacs! It’s a weekly event that attracts Poker lovers around the country. Head out here and start winning!